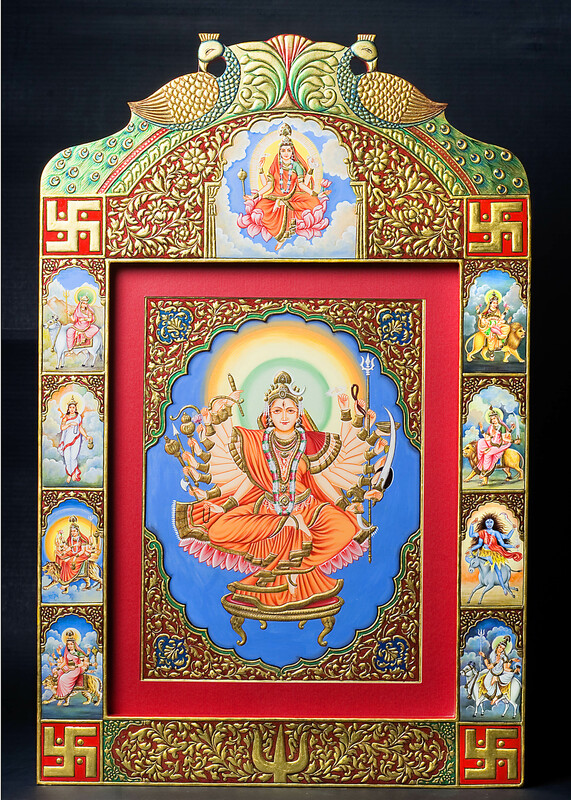 This beautiful frame of NavaDurga depicts the nine forms of Goddess Durga. The nine forms depicted on the frame are that of Śailaputrī,Brahmachāriṇī, Chandraghaṇṭā, Kuṣhmāṇḍā, Skandamātā, Kārtyāyanī, Kālarātrī, Mahāgaurī and Siddhidātrī and are worshiped together during Navratri. For orders & inquiries about sizes and prices, please call us at +91-9413335533, email at urjautsav@gmail.com or simply drop us a message. Order Today.